 Indian Model 340 B - Мотомир Вячеслава Шеянова | This work is licensed under a Creative Commons Attribution-NonCommercial-NoDerivatives 4.0 International License. 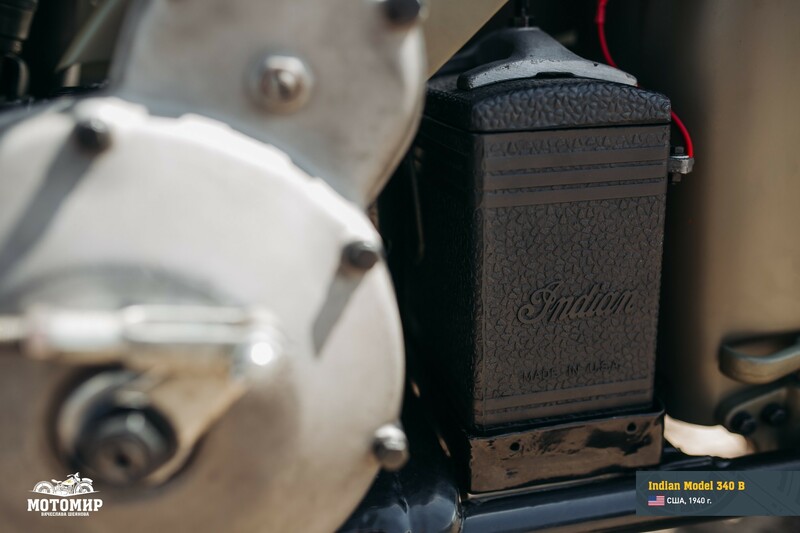 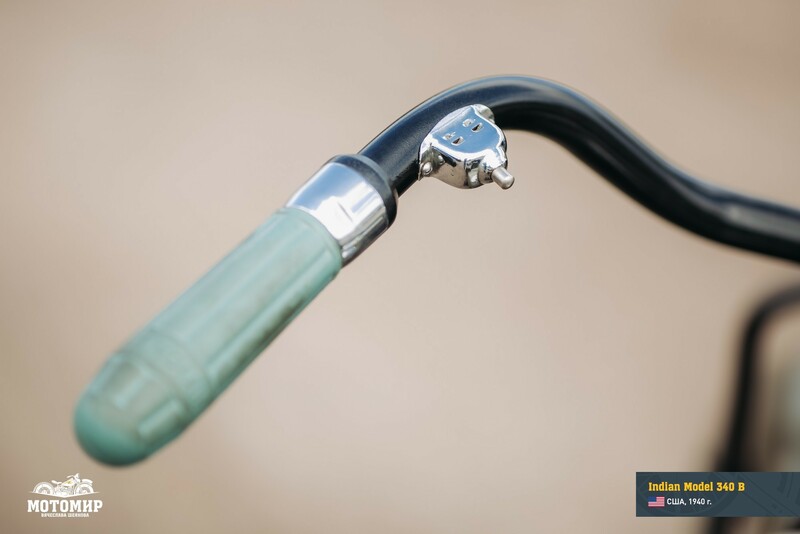 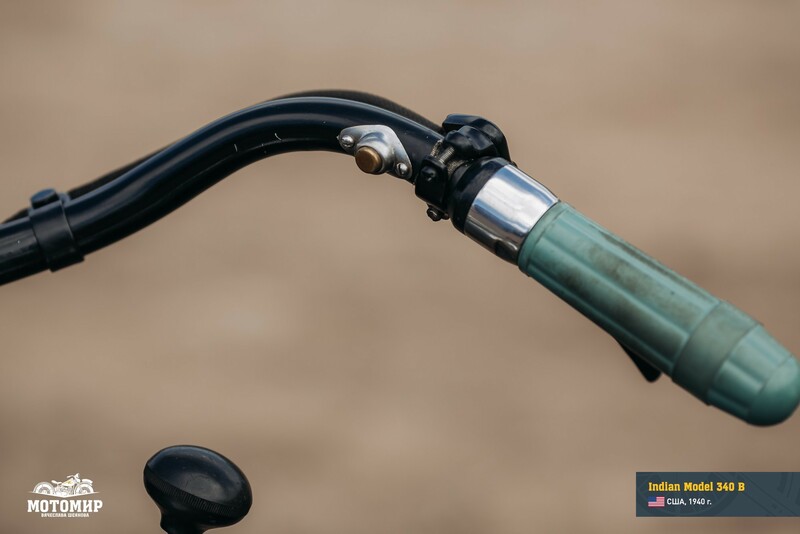 In 1923, the company Indian Motorcycle Co. developed a 30-h.p. 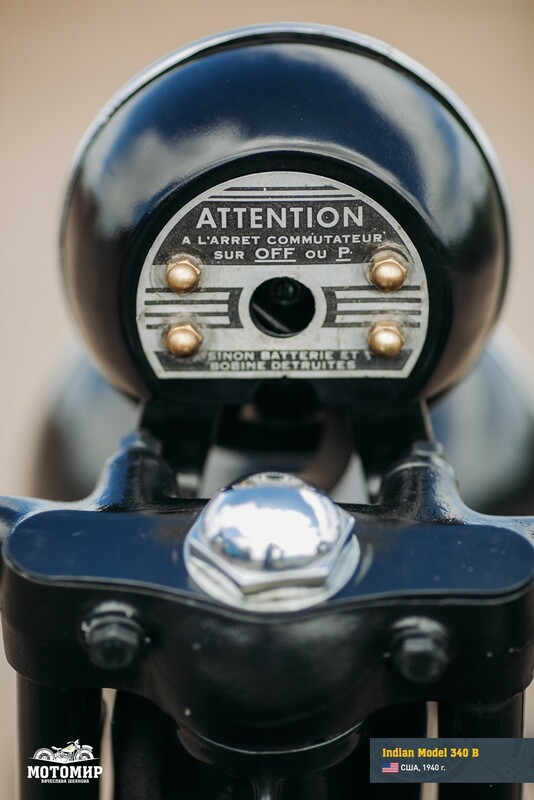 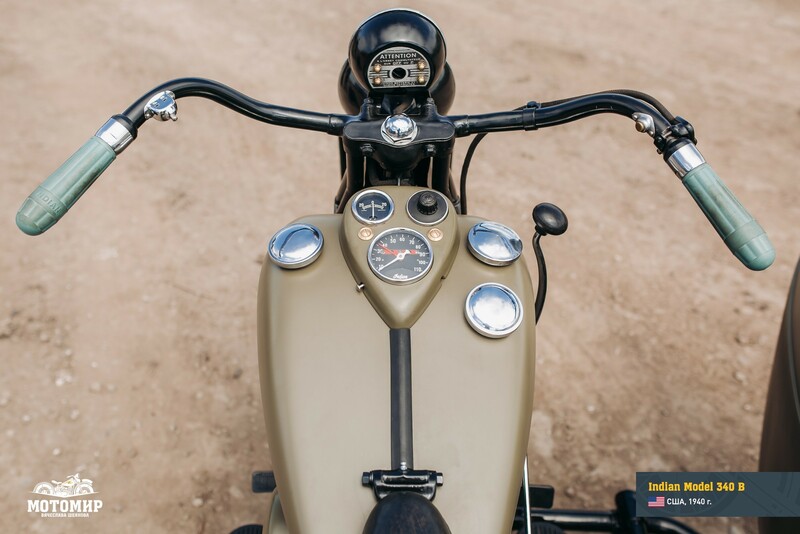 Big Chief model, which in terms of technical solutions was the same as their preceding model, the Scout. 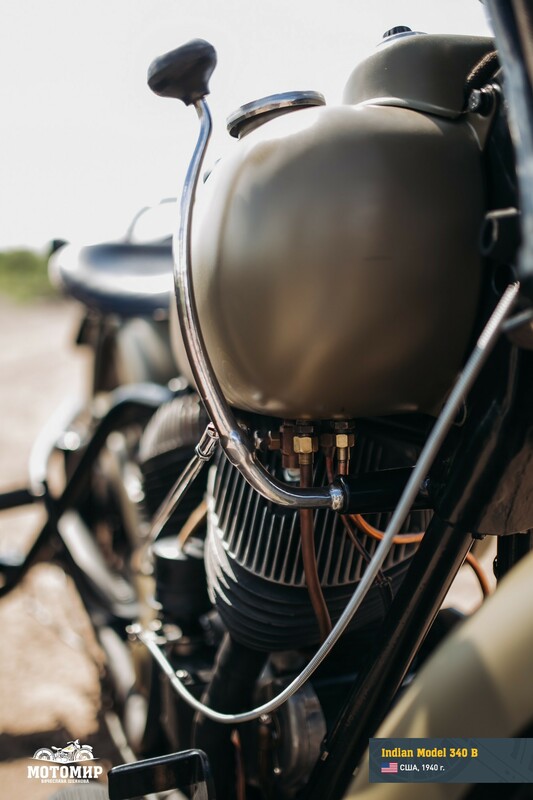 The Indian Model 340 B had a V-twin, air-cooled engine, with 1206 cc size and 30 h.p. 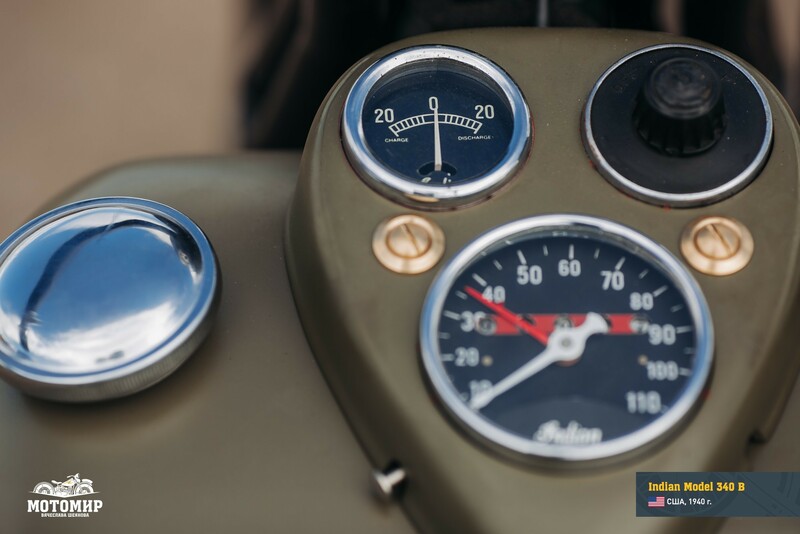 at 4000 rpm. 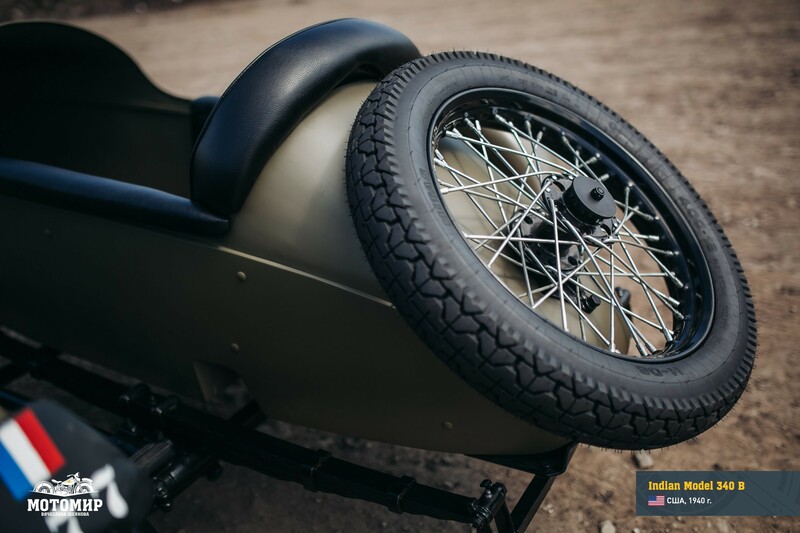 Its wheelbase was extended to 1562 mm. 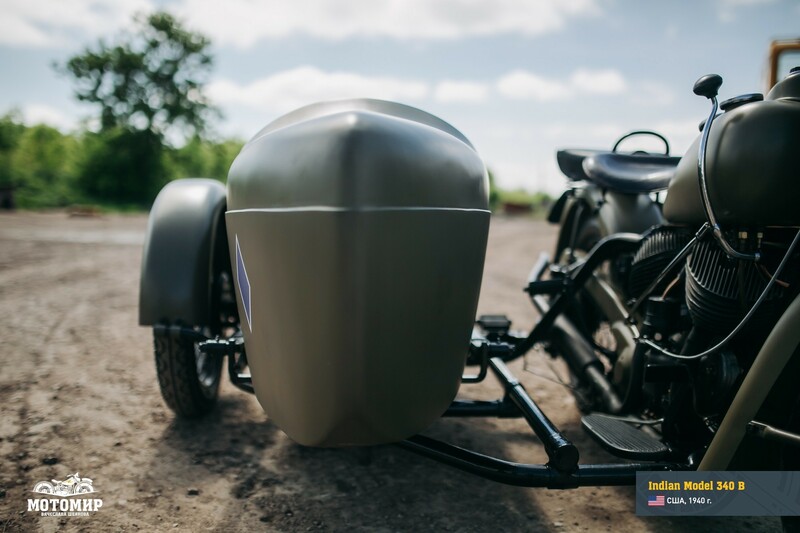 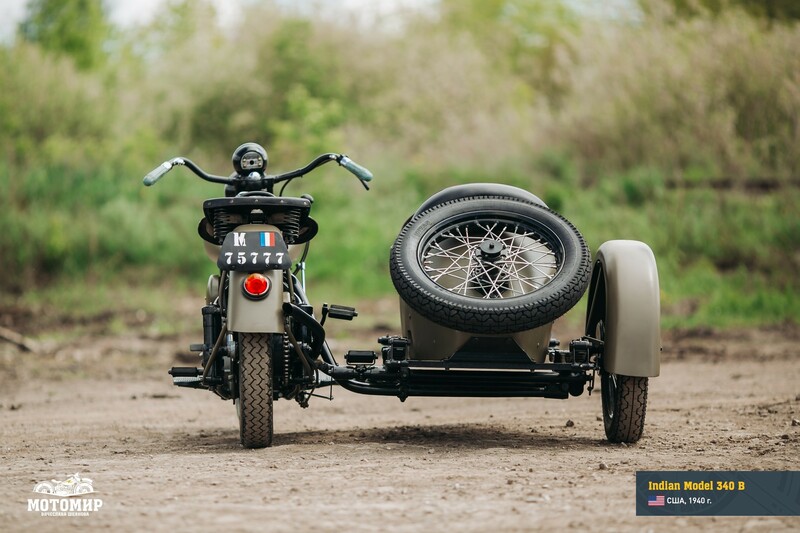 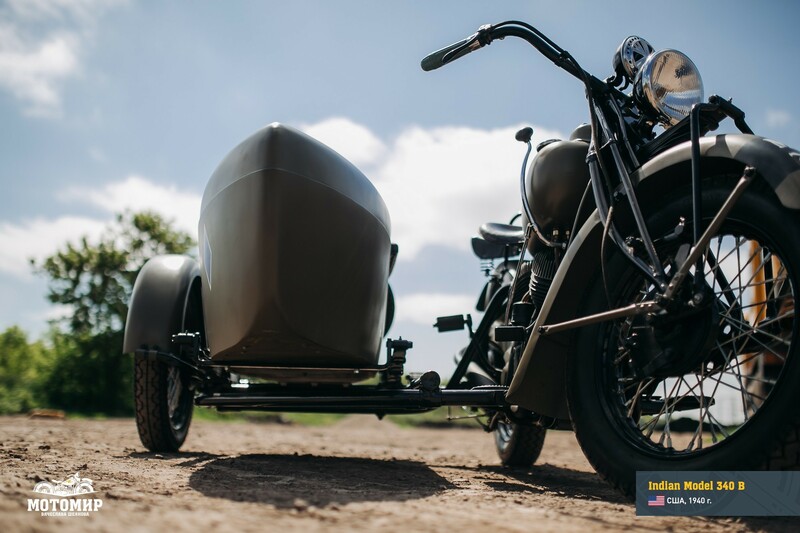 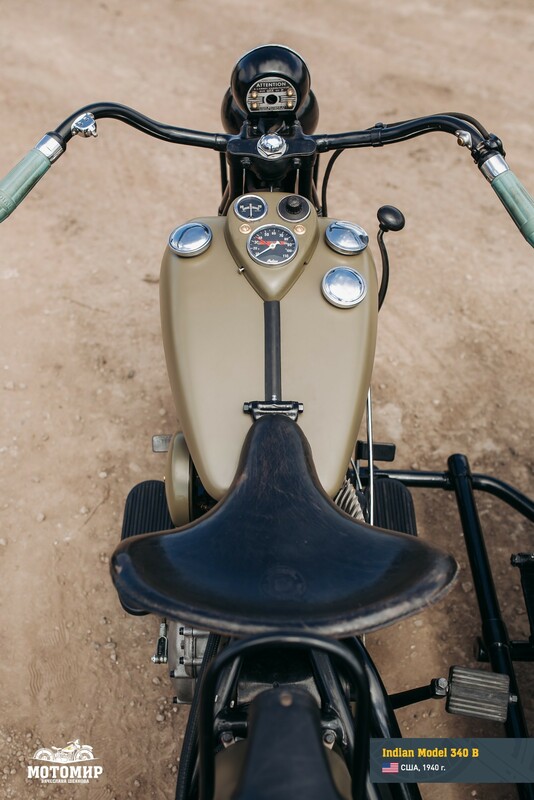 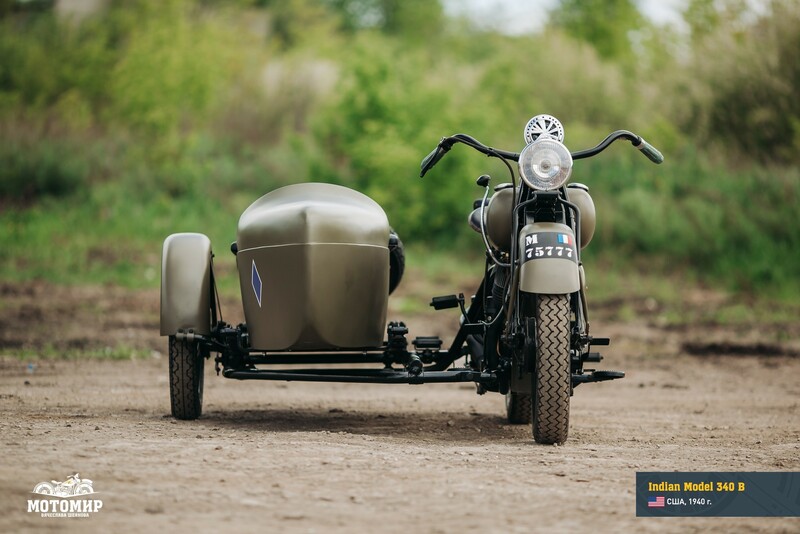 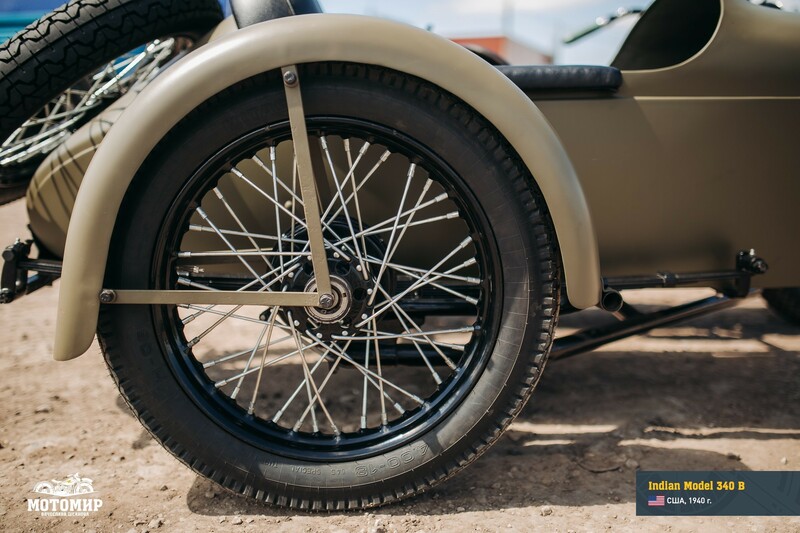 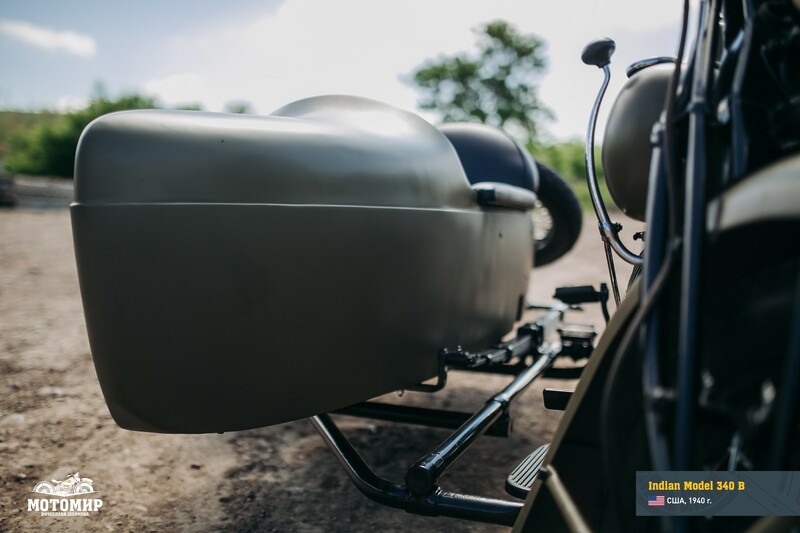 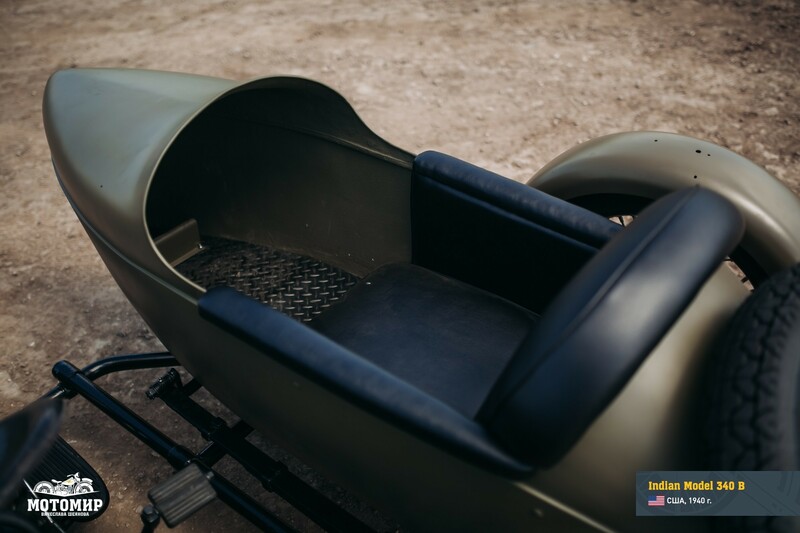 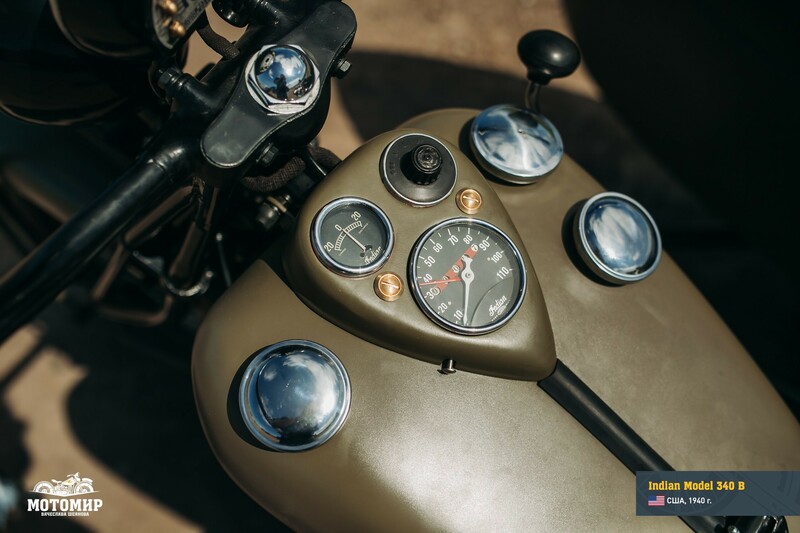 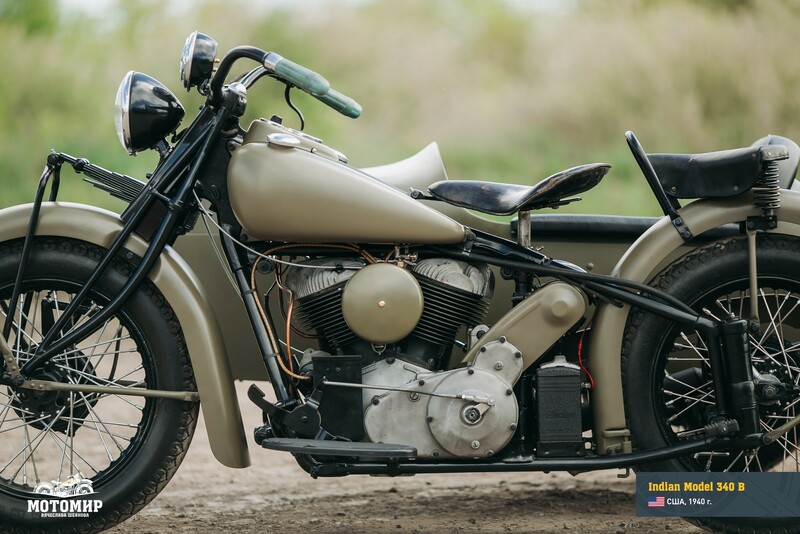 This model was outfitted with a right-side sidecar, but during WWII this motorcycle was quite often observed without a sidecar. 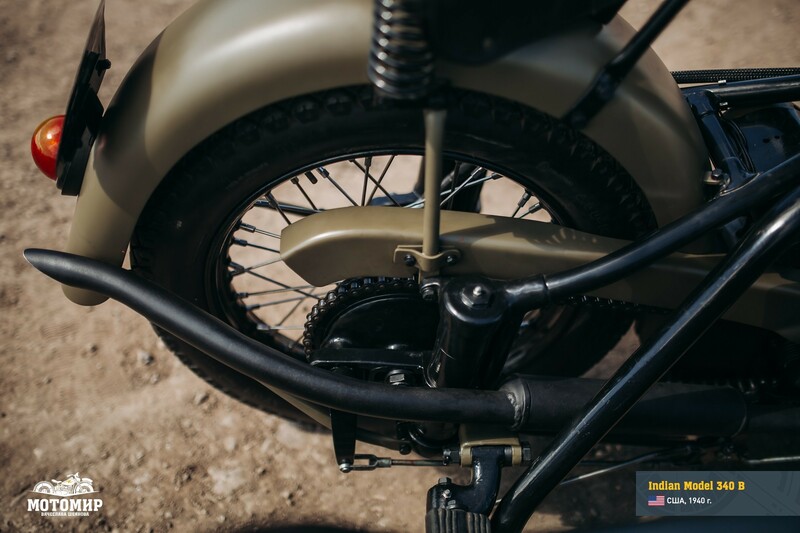 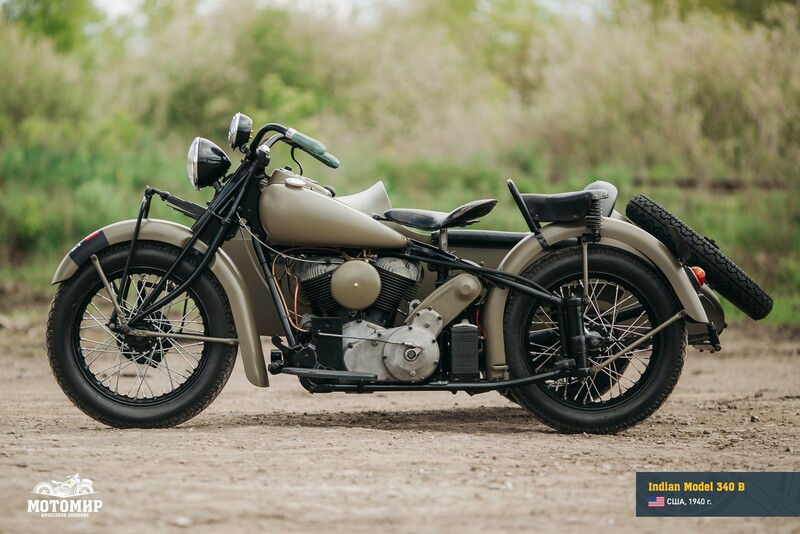 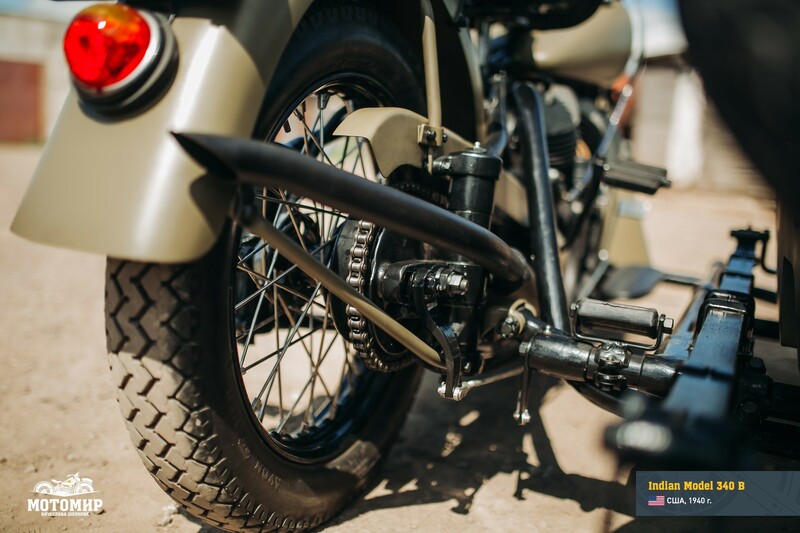 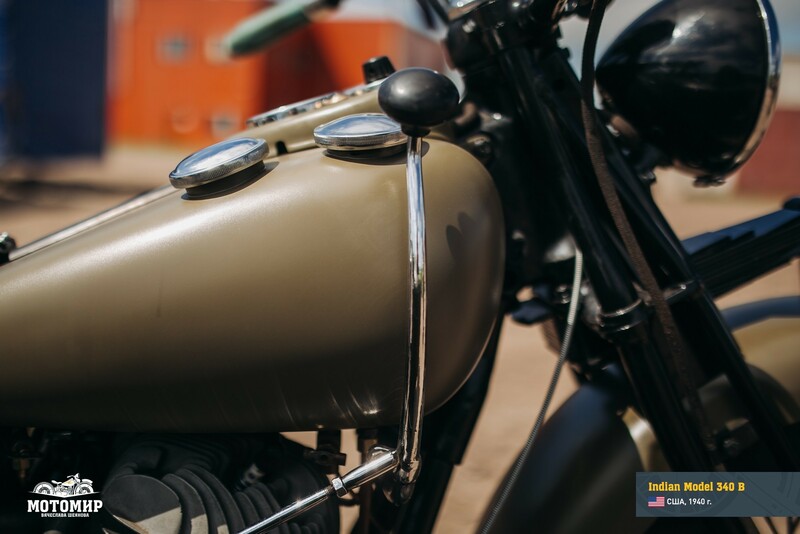 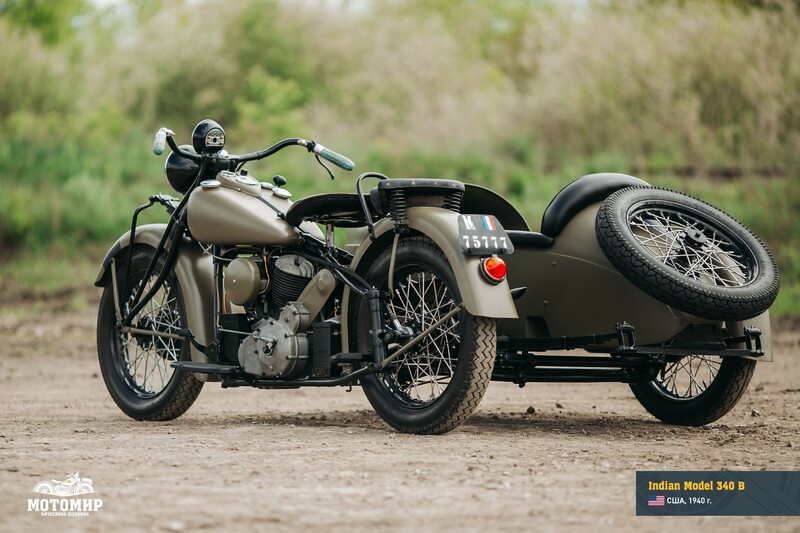 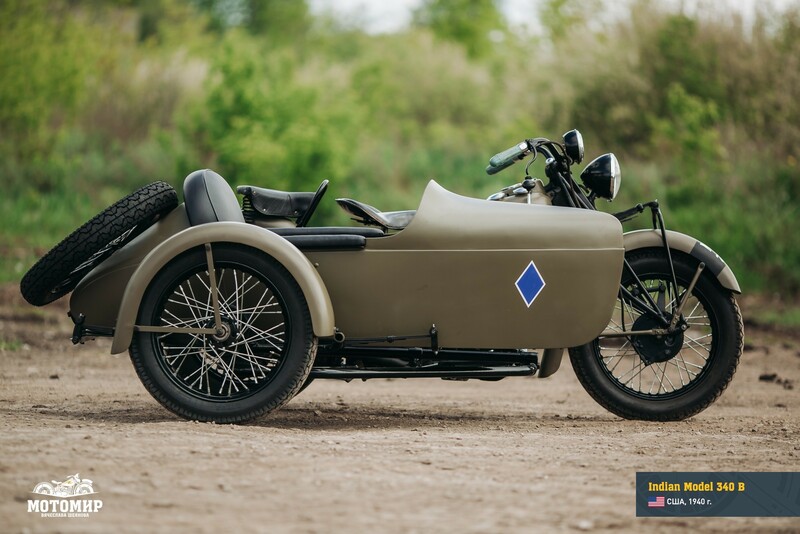 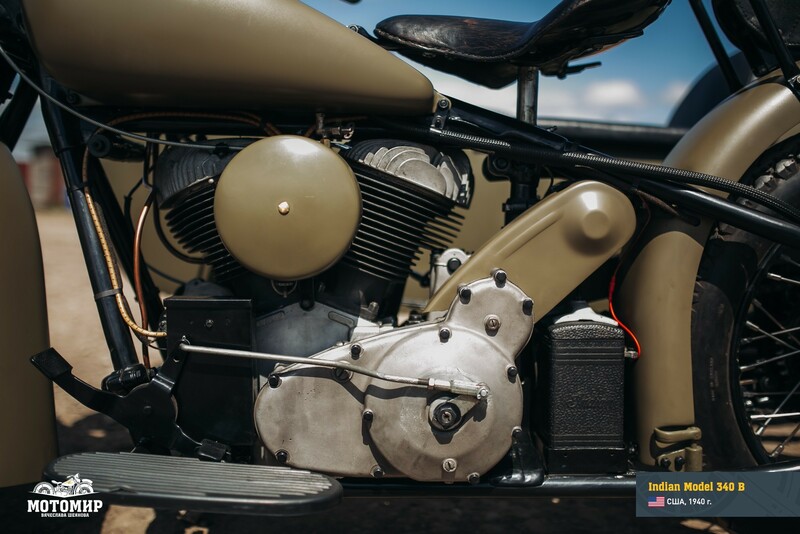 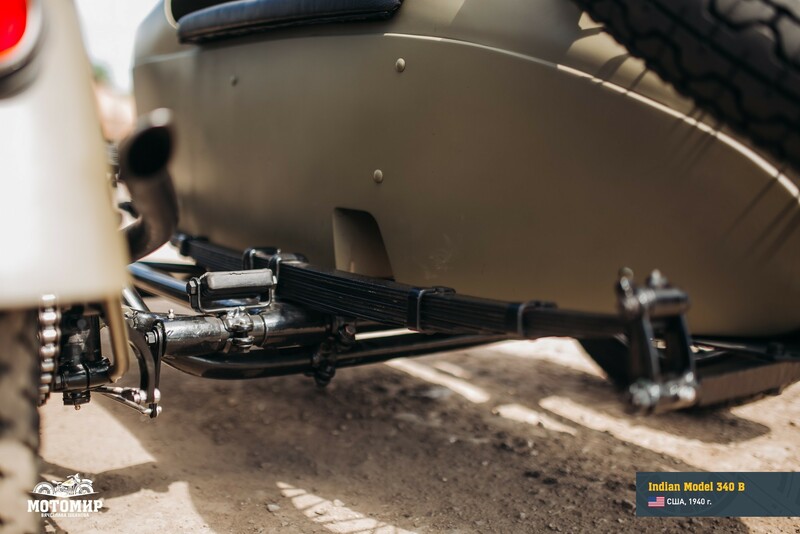 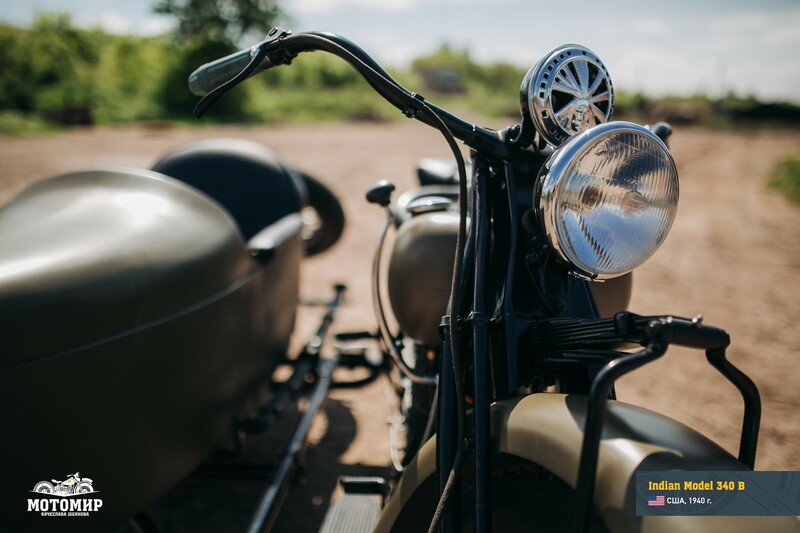 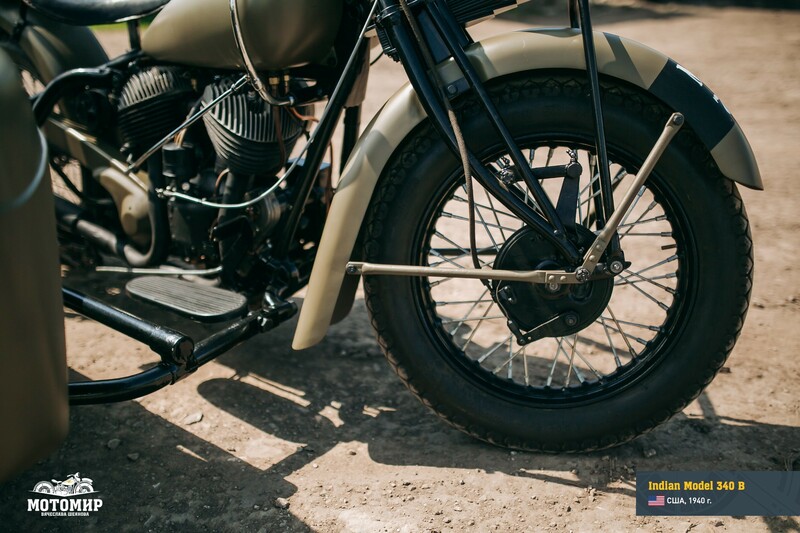 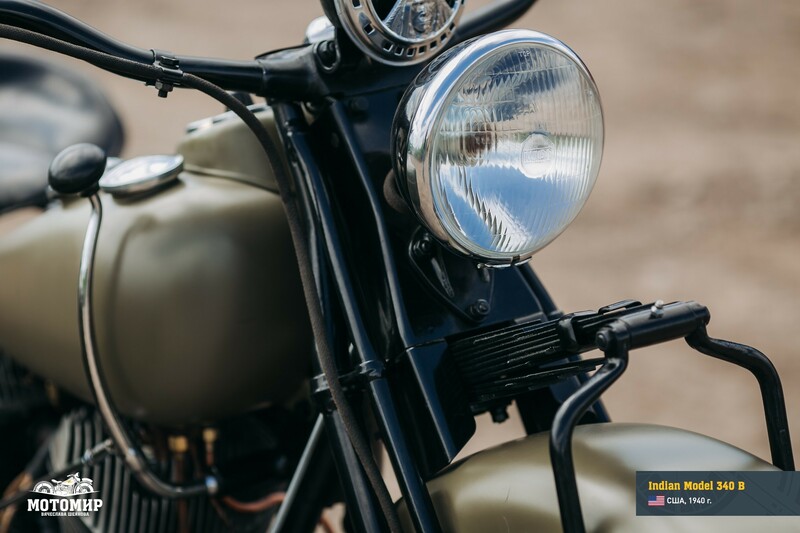 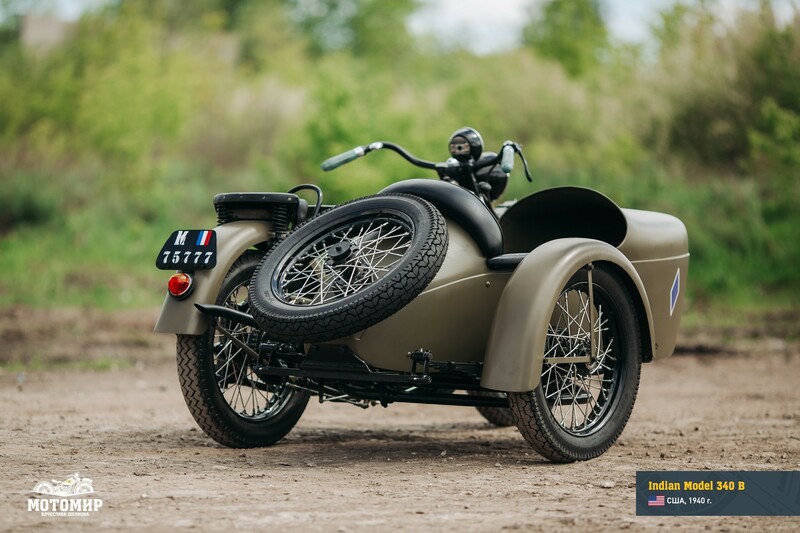 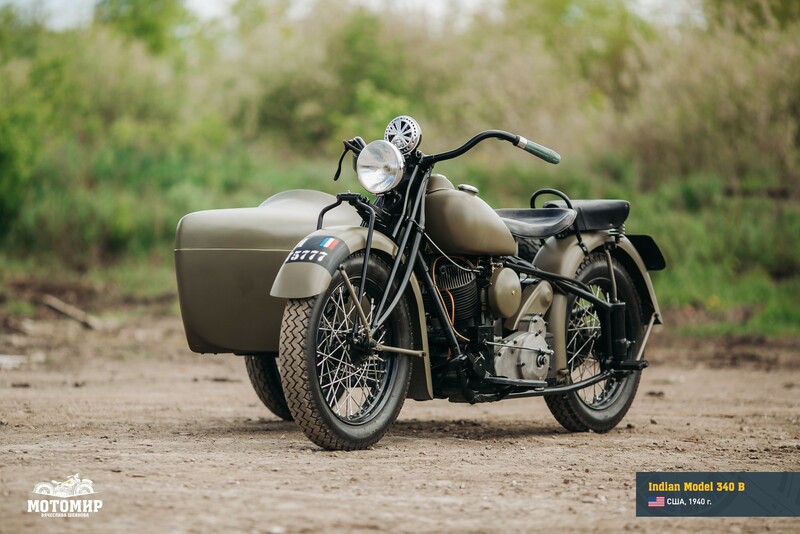 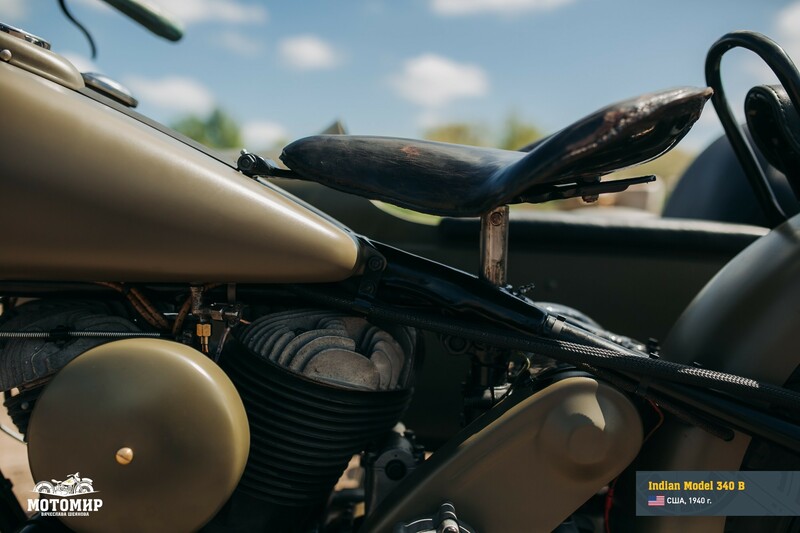 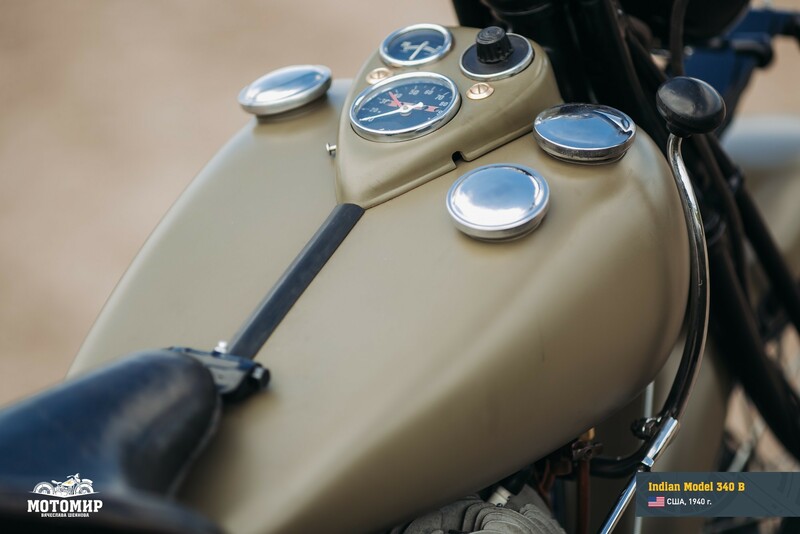 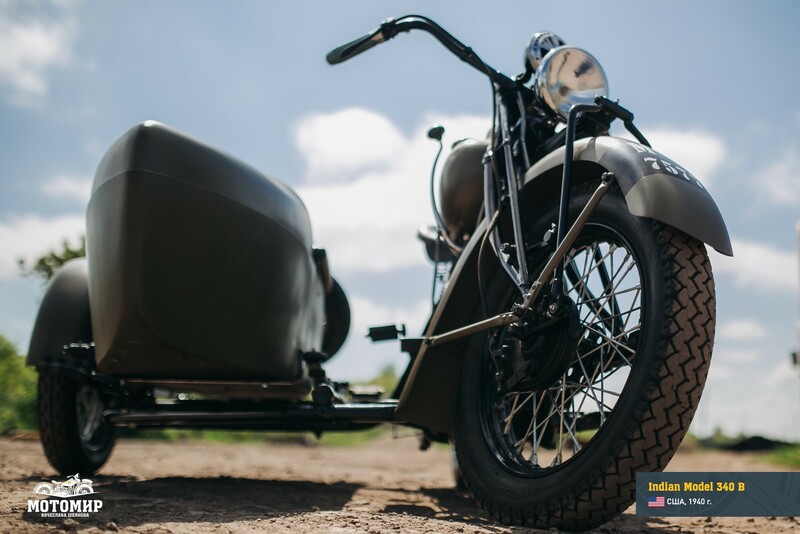 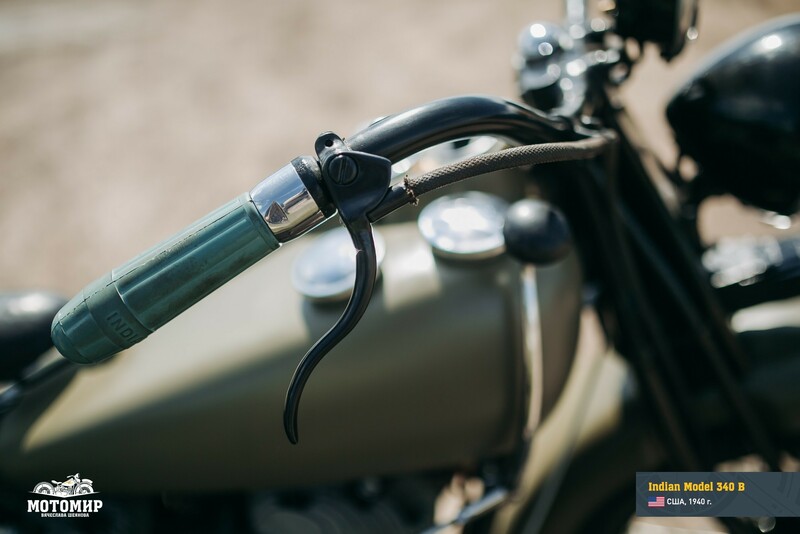 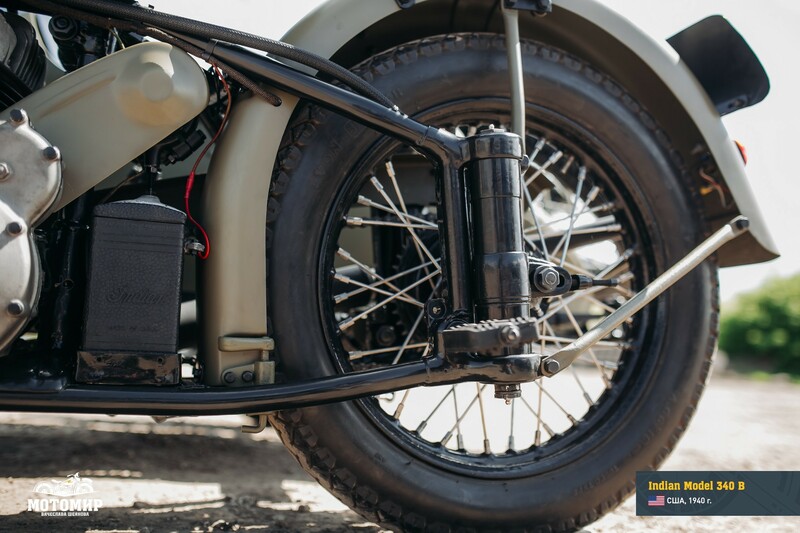 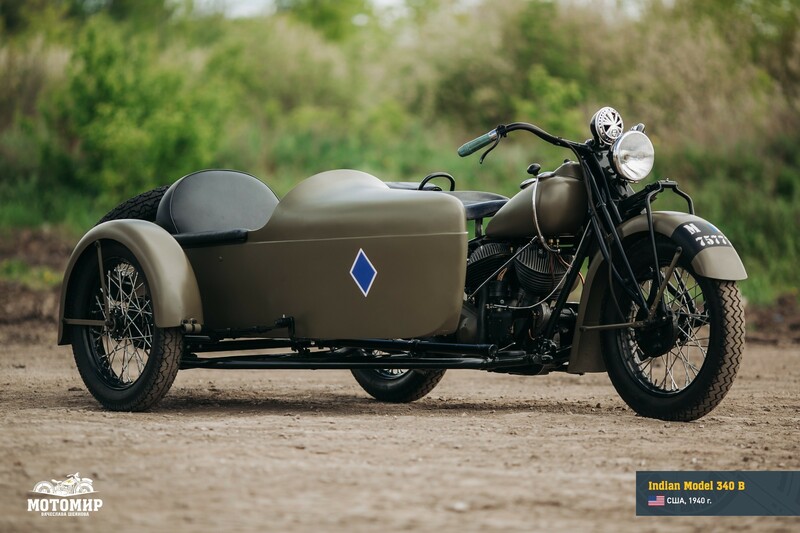 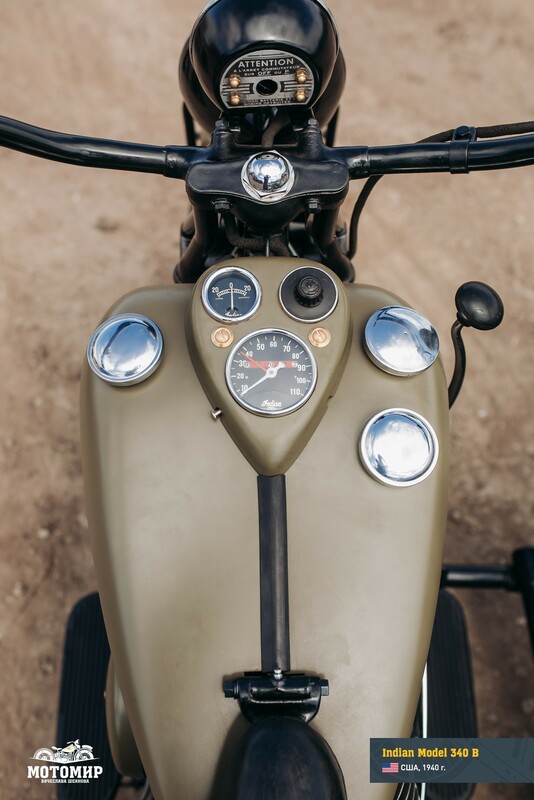 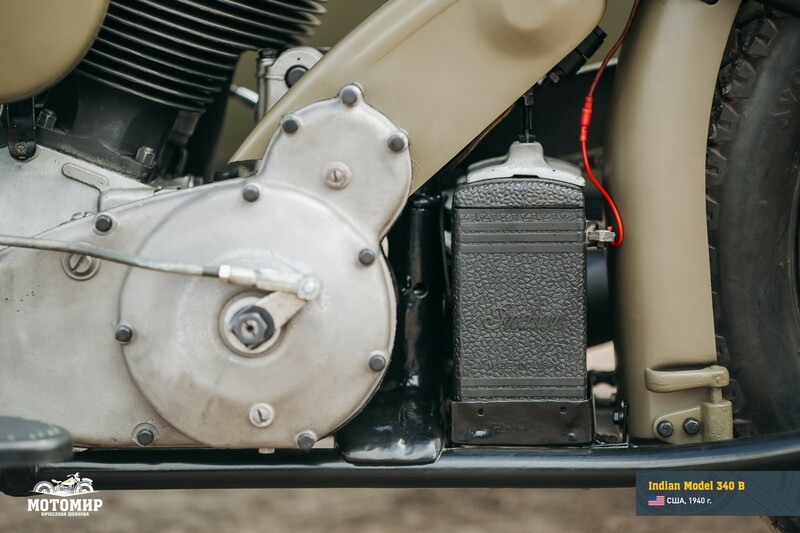 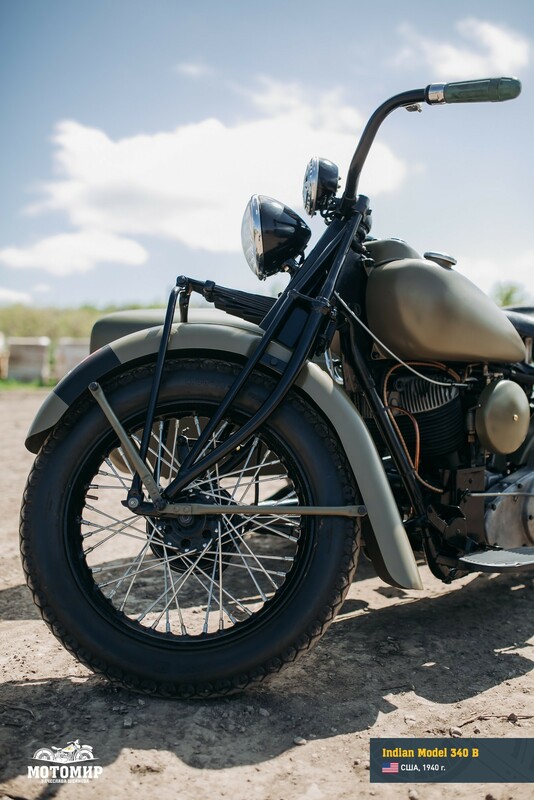 On top of producing motorcycles for the US Army, the Indian Motorcycle Co. got an order to manufacture 5 thousand Model 340 В motorcycles for the French armed forces. 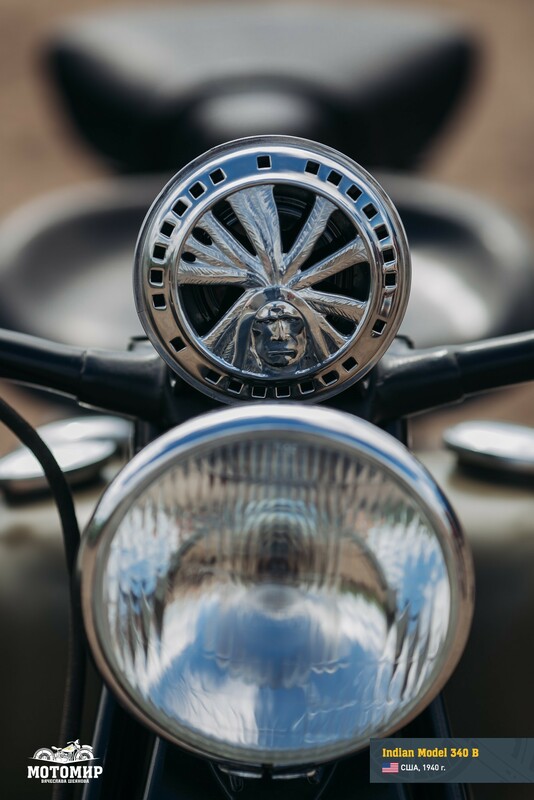 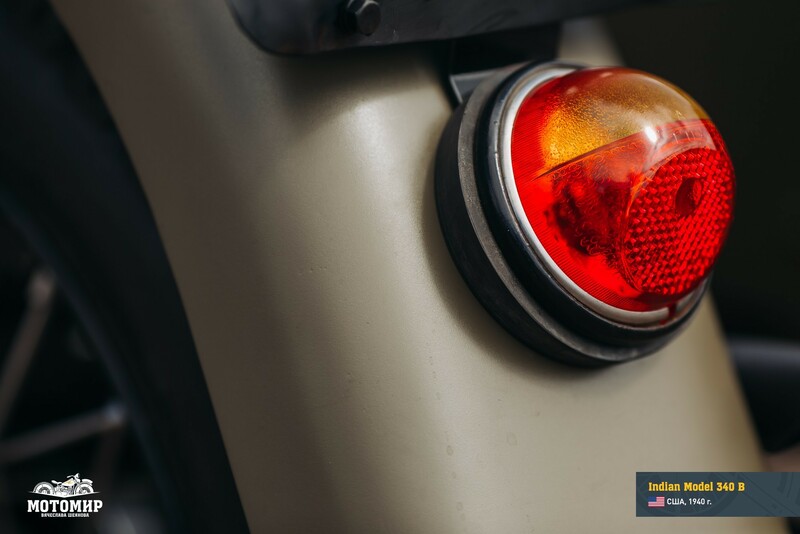 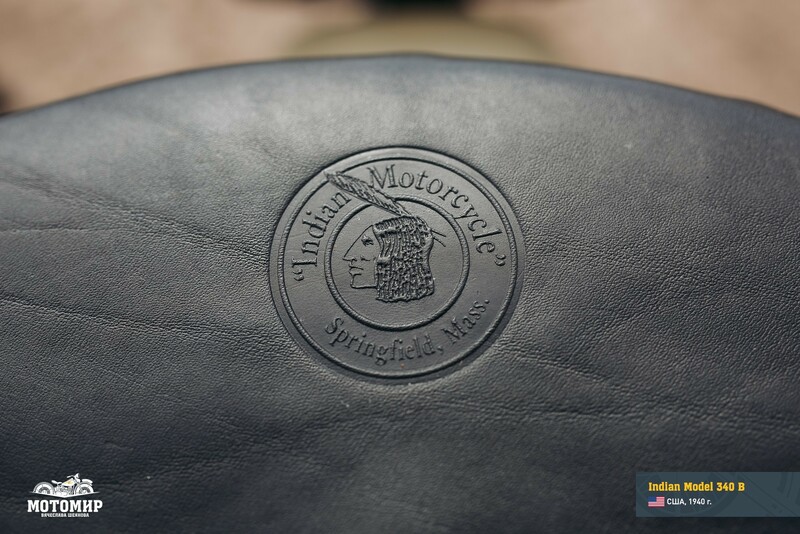 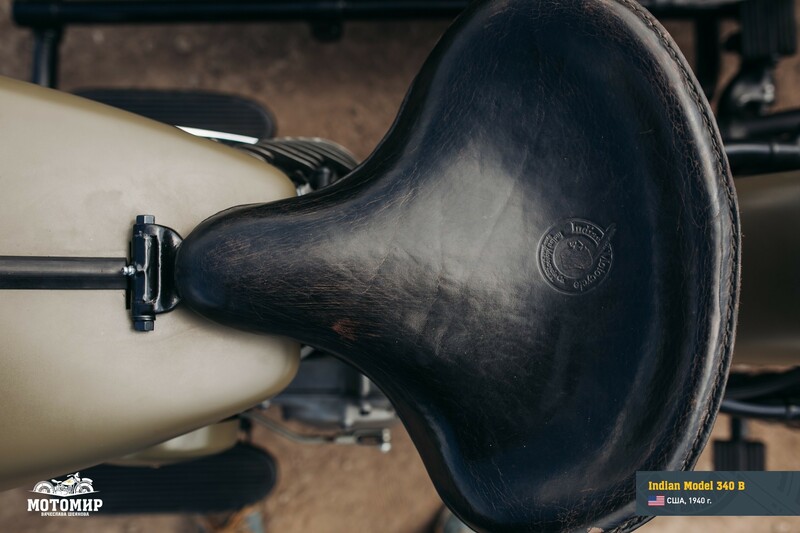 From 1923 to 1953 the Indian Motorcycle Co. manufactured the total of 9374 Indian Model 340 B motorcycles.